Customers won't be feeling salty when you reward them with this 10 oz. light-up glow margarita glass! 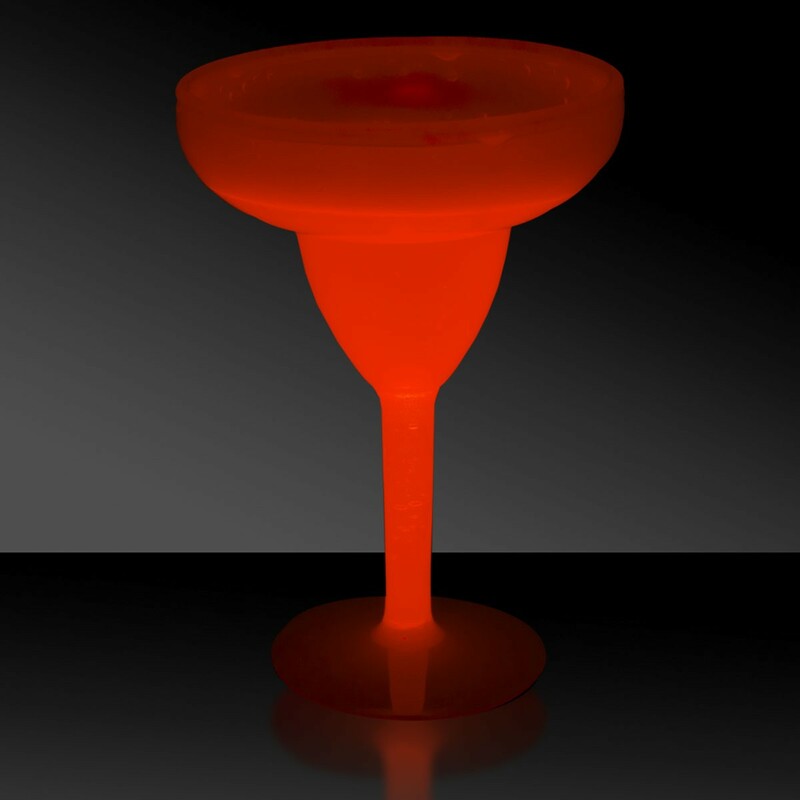 An ideal giveaway for restaurants, bars, nightclubs and more, this dazzling glass will have you enjoying your favorite cocktail in style! 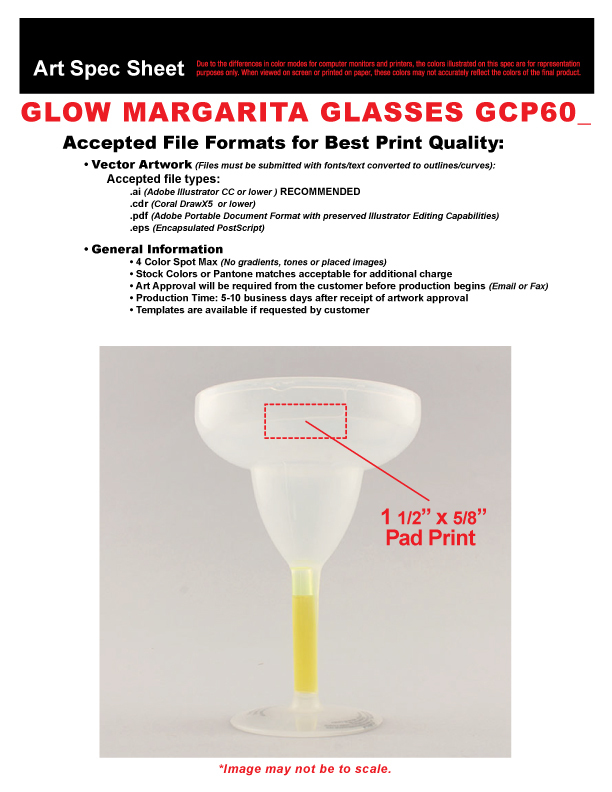 It is available in several colors and can be customized with an imprint of your company name and logo to increase brand exposure and create a memorable product. Please note: this item is meant for one-time use only. Please Note: Colorless before activation. Please Note: Glow items, by nature, is a one time use only. 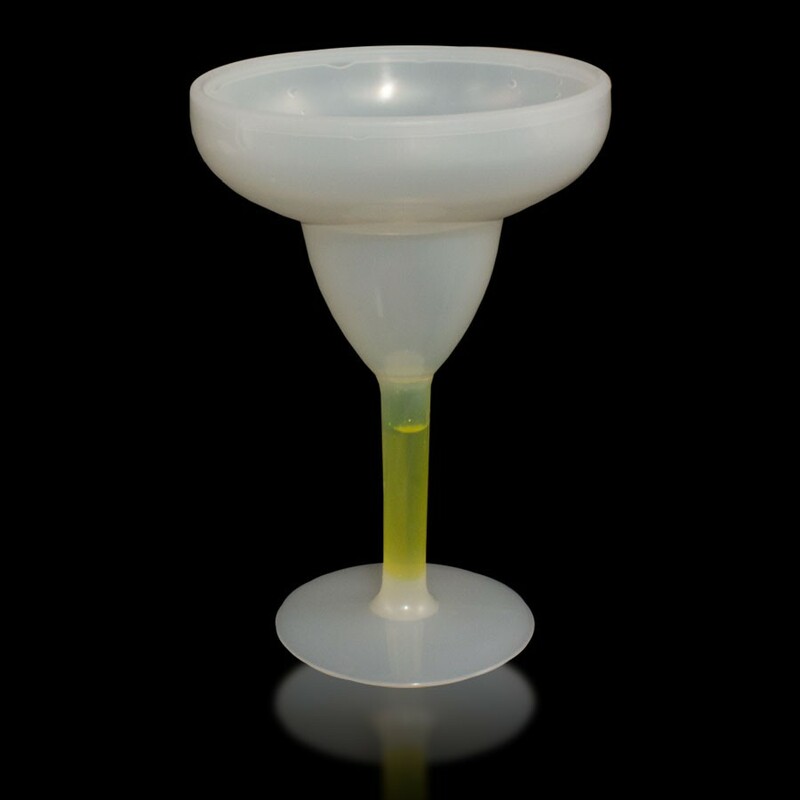 To easily activate our glow stem margarita glasses, simply crack the stem. Many use the edge of a table or bar to apply the correct amount of pressure needed to crack the ampule within the stem. Once the ampule has cracked the stem will begin to glow. Give the whole glass a good shake and enjoy!